K-Tech steering dampers are a lightweight aluminum design available for many applications, manufactured in conjunction with Toby Dampers. Available in seven lengths for road and race use they are fully serviceable and come supplied with all the necessary mounting components to fit the make and model of the motorcycle. 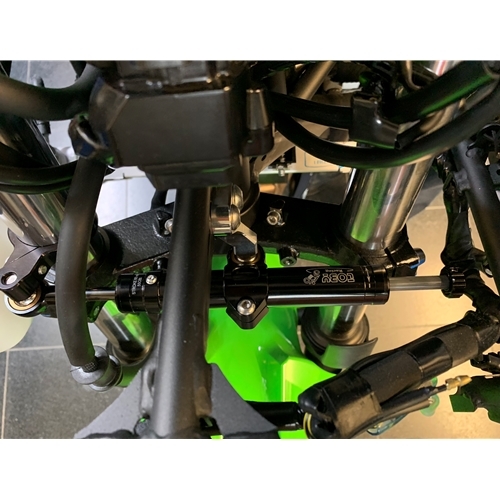 Race Kit dampers include all mounting hardware with reduced steering lock to lock range, DLC coated aluminum shaft and a firmer range of settings.